Getting a pixie cut is probably one of the most daring changes you can make with your hair (short of buzzing it all off), because once it’s done, it’s done. If you don’t like it, all you can do is put on a hat and wait several months for it to grow back. So, you’d think that when I decided to get a pixie after my freshman year of college, I gave myself a lot of time to ponder the decision, spending hours scrolling through Pinterest, consulting my friends and family, and researching salons in the area. You’d be wrong. One hot day in July, I drove to the nearby Holiday Hair, pointed at a picture of Keira Knightley’s piece-y chop — this was before J Lawr’s time (yes, there was a time before J Lawr) — and plonked myself down in a chair. It was on a complete whim. My boyfriend didn’t even get any warning. The other common worry I hear from women when we’re discussing short hair is, “Oh, I could never pull it off.” They tell me their face shape is wrong or their nose is too big or they’d need to lose some weight first. News flash: Everyone can “pull off” short hair. All it takes is a little bit of confidence and some experimenting to find the right short hairstyle for you. In fact, you’d be surprised to discover how much you like your own face when you let it have the spotlight. For me, one of the most unexpected aspects of going short was the effect it had on my overall appearance. For the first time ever, I felt motivated to figure out my style. I went through a whirlwind of looks, from frilly dresses to an ill-advised blue Muppet coat from Zara. Not everything I tried worked, but my statement-making hairstyle gave me the confidence to try statement-making clothes. I also started to experiment more with makeup. Now, sensual perfumes and bright lipsticks express my femininity for me on days when I can’t be bothered to change out of boyfriend jeans or run a brush through my bedhead. Speaking of bedhead, I will now impart one of the biggest lessons I’ve learned from having a pixie cut: Learn to embrace messy hair. Bad hair days will happen. If you’re thinking about getting a pixie cut to streamline your morning routine, think again. Pixie cuts are not as low-maintenance as people seem to think. Some mornings, I wake up with bedhead that defies gravity. There’s no throwing it up in a ponytail, and most workplaces discourage wearing giant hats. The only options are to be an hour late because I had to wash and blowdry my hair or to lean into it and embrace the rocker-chic look for the day. You might think you’ll choose the first option, but I give you a week until you decide Einstein hair is a good look. And, yes, trims every four to six weeks are a must, and that can add up over time. But, hey, you’ll save on shampoo and conditioner! Besides being able to save on supplies, there are lots of reasons to cut your hair short. 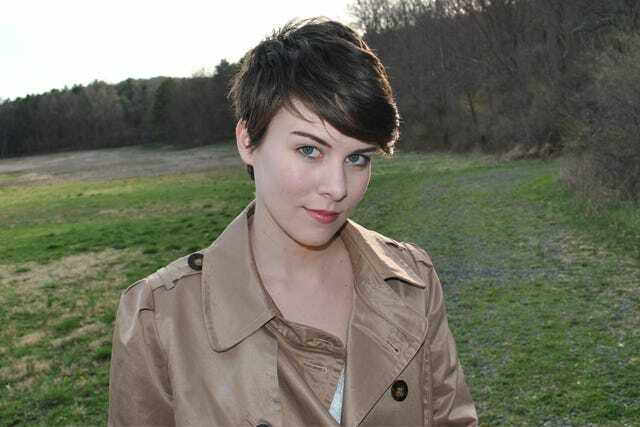 If your hair is damaged from excessive heat styling or coloring, a pixie cut gives you a chance to start fresh. If you’re stuck in a style rut, a dramatic haircut might be just the inspiration you need to help you re-evaluate your style and beauty looks. Plus, you’ll be in good company: Winona Ryder, Jennifer Lawrence, Anne Hathaway, Rihanna, Charlize Theron, Michelle Williams, and Miley Cyrus are just a few of the celebrities who look amazing with pixie cuts. Even Beyoncé had one for about five minutes. Convinced? I thought so. Now that you’re considering joining the pixie-cut club, there are a few things you should think about. Read on to get the full primer on taking the pixie plunge. Photos: Courtesy of Not Your Mother's, Suave, Josie Maran, Lush, and CHI. First, consider doing it in stages. If you have long hair, you might want to go for a bob first, and then try a pixie cut next. That’s what I did, and it helped me ease out of having long hair (and made me realize that bobs are not for me). Next, decide where you’re going to get it done. A chain salon worked out fine for me, but you may not want to take that risk. Do some research online, or ask your friends about salons in the area. In the end, however, as long as you have a competent stylist who knows how to listen to what you want, you should be okay. Going short isn’t quite as fraught with danger as going blonde. Just make sure you bring pictures for reference and listen to your stylist if they have any recommendations based on your hair type and lifestyle. If your hair is dry or damaged, stock up on some virgin coconut oil. I like to slather it through my hair once a week and let it sit for a few hours before washing it out. Argan oil is also a must for smooth, shiny hair. I rub a few drops with my hands through dry hair to give it shine and tame flyaways and frizz. The right hair gel can give you a pretty awesome fauxhawk or pompadour — I swear by Lush Dirty Hair Creme for serious, non-sticky hold. I bought it for my boyfriend and then didn’t want to part with it. For thin, silky hair that needs some texture, I recommend spritzing some sea-salt spray through your wet locks. Bumble & bumble Surf Spray works nicely, and Not Your Mother’s Sea Salt Spray is a great, more affordable alternative. Don’t forget dry shampoo — I don’t like to wash my hair more than twice a week, so the dry stuff is necessary for those greasy-hair days. My favorite dry shampoo is Suave Dry Shampoo Spray — it smells nice, it doesn’t turn your hair white, and it’s effective. Finally, remember that it’s just hair. It will grow back eventually — but you may find that you don’t want it to. There’s a reason Anne Hathaway hasn’t grown out her Les Mis chop yet. Cut your hair, too, and you’ll understand. Welcome to the pixie-cut club, friend. 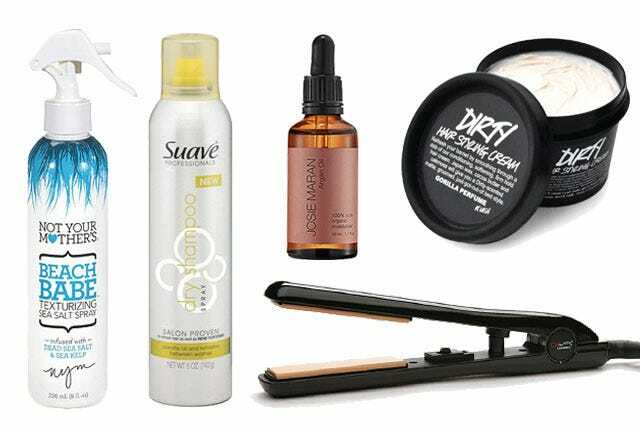 Not Your Mother's Beach Babe Texturizing Sea Salt Spray, $4.74, available at Walmart; Suave Dry Shampoo Spray, $2.74, available at Target; Josie Maran 100% Pure Argan Oil, $48, available at Josie Maran; Lush Dirty Hair Cream, $15.95, available at Lush; CHI Air Compact Ceramic Mini Flat Iron, $44.99, available at Drugstore.com.